I am an Italian professor, and thus, I am a bit of a purist (read: snob) when it comes to books based on or set in Italy. I’ll find one spelling mistake (biscottos) or a random incorrect fact, and I get right up on my horse, look down my nose, and turn away with disdain dripping from my every gesture. Okay, perhaps that is a bit of an exaggeration, but I do wholeheartedly wish that authors would do a little research before crafting a tale about the bel paese. Of course, I realize this obsession is but a quirk of mine alone, and I’ve actually come to embrace books, especially picture books, that bring a little bit of Italy to their readers. 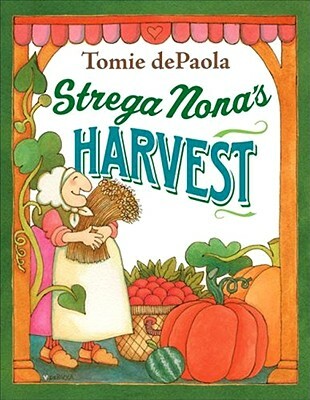 Since I was a child, I’ve always adored the Strega Nona series, and today’s children have even more Nona to love. 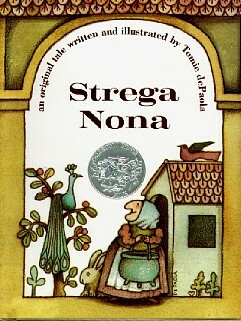 Tomie dePaola’s original children’s book about an elderly Calabrian woman who helps her fellow villagers out with their troubles, most notably by curing headaches, helping single women find husbands, and ridding people of warts, was published in 1975 and won the Caldecott Honor in 1976. 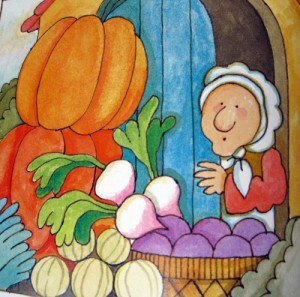 Since then, the series has grown to include Strega Nona: Her Story, Strega Nona’s Magic Lessons, Strega Nona Takes a Vacation, Strega Nona Meets Her Match, Merry Christmas Strega Nona, Strega Nona’s Harvest (a favorite in my household and perfect for this season of thanks), Big Anthony: His Story, Big Anthony and the Magic Ring, and most recently Strega Nona’s Gift. Other picture books you may want to consider if your child is a budding Italophile include This is Rome by Miroslav Sasek, Katie and the Mona Lisa by James Mayhew, Bravo, Zan Angelo by Niki Daly, Opera Cat by Tess Weaver, Rome Antics by David Macaulay, Zoe Sophia’s Scrapbook: An Adventure in Venice by Claudia Mauner, and (I wouldn’t have believed this unless I had seen it for myself), Olivia Goes to Venice by Ian Falconer. No, really, you must believe me. 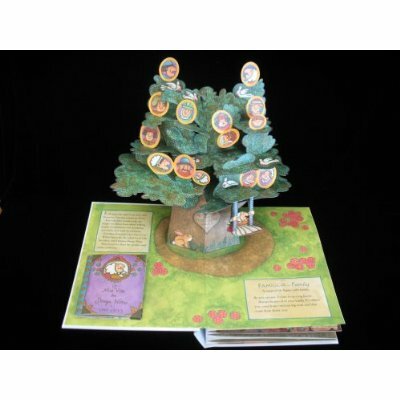 This book is truly adorable, and it makes my children guffaw as Olivia stuffs herself with gelato and tries to take home a stone from San Marco’s Bell Tower as a souvenir (the results of which I shan’t here disclose lest I ruin the surprise). 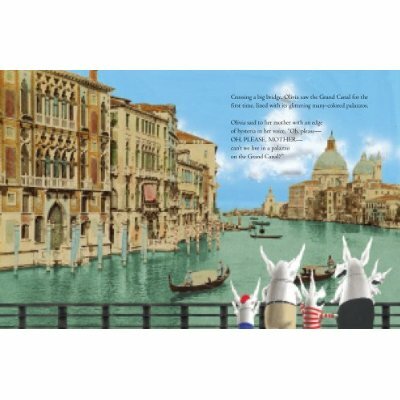 The images upon which Olivia and her clan are superimposed are quite breathtaking, showcasing as they do the golden glow from Piazza San Marco as the sun sets on the Grand Canal. Were it not for the sheer delight my children take in this book, I may have run the risking of loathing once again this humorous take on a place so beloved by me, but I can’t and I won’t. 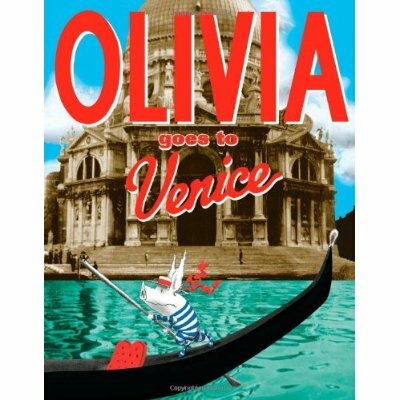 Olive Goes to Venice really is sweet. There! I said it. As an Italian speaker and living just down the road, I love your selection. 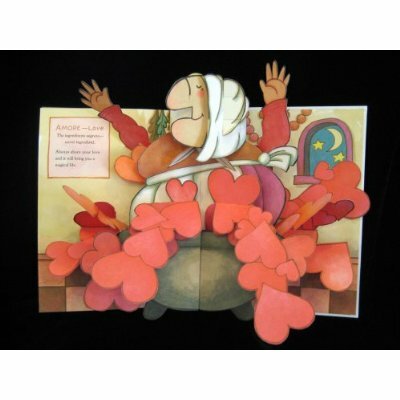 De Paola remains one of my favorite PB author/illustrators! I know and appreciate all these, except have yet to follow Olivia the Venezia! Thanks for the post! Thank you for reading it and taking the time to respond. If you do ever read the story of how Olivia takes on (over) Venezia, let me know what you think!